As a child, I was haunted by the memory of the grim Childcatcher from Chitty Chitty Bang Bang but it's that chilling darkness in this traditional children's story that sets it apart from fluffier tales. Written by Ian Fleming, better known for his James Bond novels, it should be no surprise that this is an adventure packed with spies, dictators and technical gadgetry. 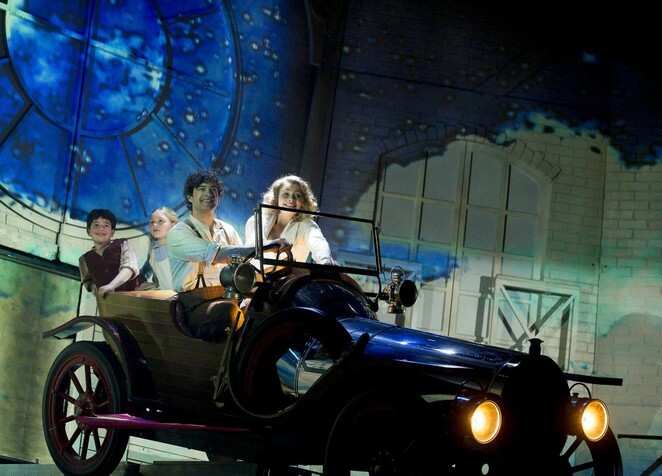 The latest UK tour of Chitty Chitty Bang Bang is at Birmingham Hippodrome until September 18 and brings all these elements together in a fun, pantomime-esque fashion that makes it perfect for children. It's heavy on the laughs and slapstick. So much so that despite the celebrity cast, it's the unknown actors playing bumbling Vulgarian spies Boris and Goran (Sam Harrison and Scott Paige) that attract the most attention. The Vulgarian spies attract the most laughs. The story follows inventor Caractacus Potts and his two children Jeremy and Jemima as they journey into faraway lands with a magical flying car to battle against an evil Baron that has outlawed children. The stage is awash with vibrant colours and if it's not from the rainbow coloured outfits, it's through impressive video images projected on to the windmill shaped set. 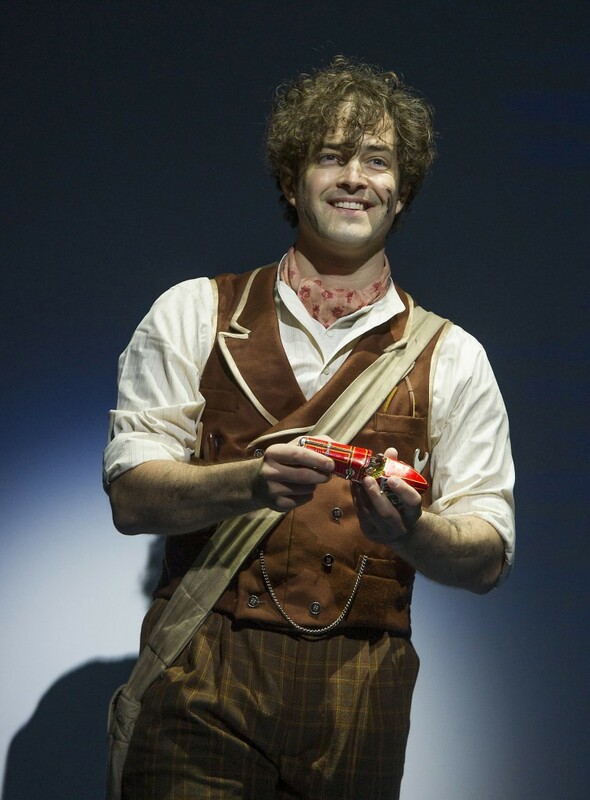 Casualty star Lee Mead is a likeable father as Caractacus and has a warm honeyed voice that is a dream, especially for song Hushabye Mountain. His love interest Truly Scrumptious - Carrie Hope Fletcher, who played Eponine in Les Miserables - has an angelic voice and a gutsy, endearing temperament. 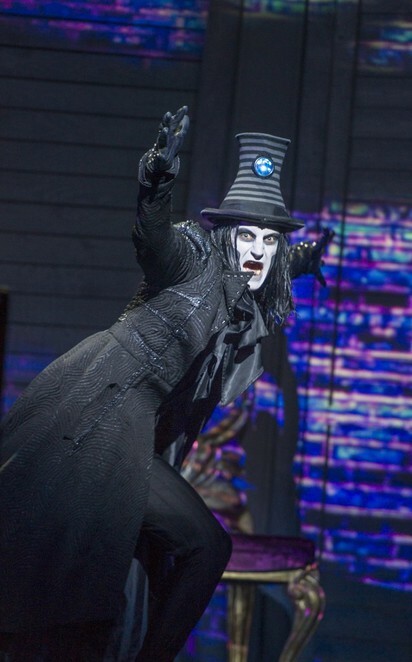 The first act does, however, seem slow to get going with most of the action (and the dreaded Childcatcher) packed in after the interval when the family finally reaches the land of Vulgaria. The second act is when the show excels as the excellent pairing of Phil Jupitus and Claire Sweeney as the crazy Baron and Baroness become more prominent. They provide the laughs and adult jokes along with the addition of new eccentric dance routines to the samba and similar. This is also when the Childcatcher makes an appearance, accompanied by a huge menacing shadow. He's unbearably creepy and still gives me the shivers - so obviously a job well done by the producers. 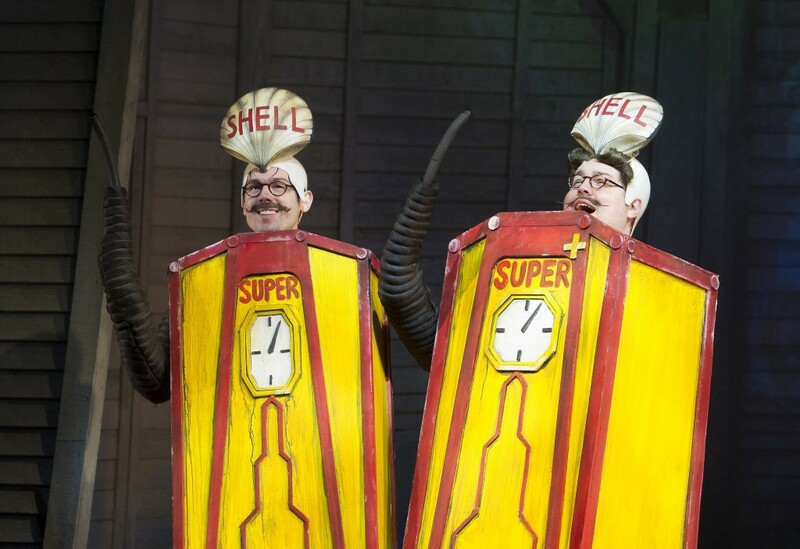 Chitty Chitty Bang Bang will bring back fond memories to those who loved the original with song after song of favourites from Truly Scrumptious and Hushabye Mountain to Doll On A Music Box and, of course, Chitty. Chitty Bang Bang. As a very traditional story set in the 1920s, it's also more suited to younger children, especially as Caractacus' son and daughter are key parts of the storyline. These kids were played marvellously by Elliot Morris and Darcy Snares in the show I saw on press night. 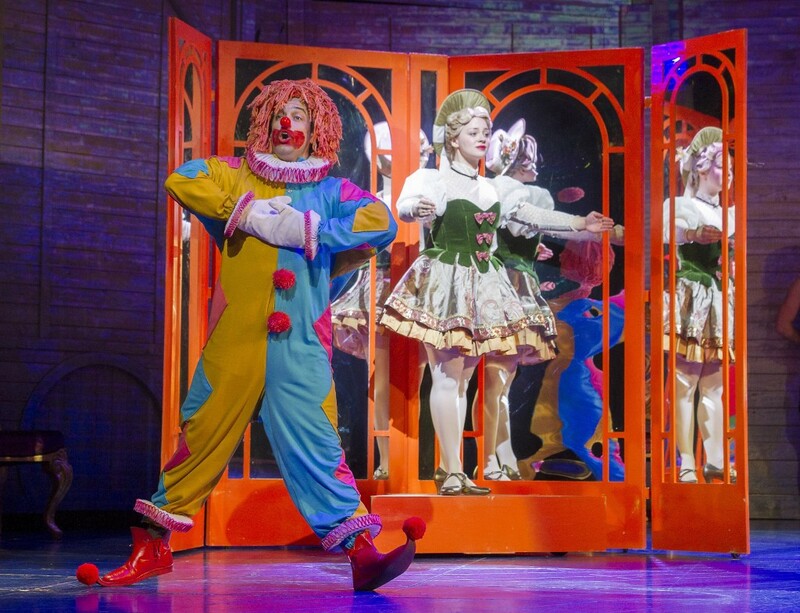 It's a slick musical that has the feeling of no expense spared to restart the engine on this classic tale. It's a fun, family affair that is a madcap adventure from start to finish. Tickets cost from £23.50 from the Birmingham Hippodrome website.